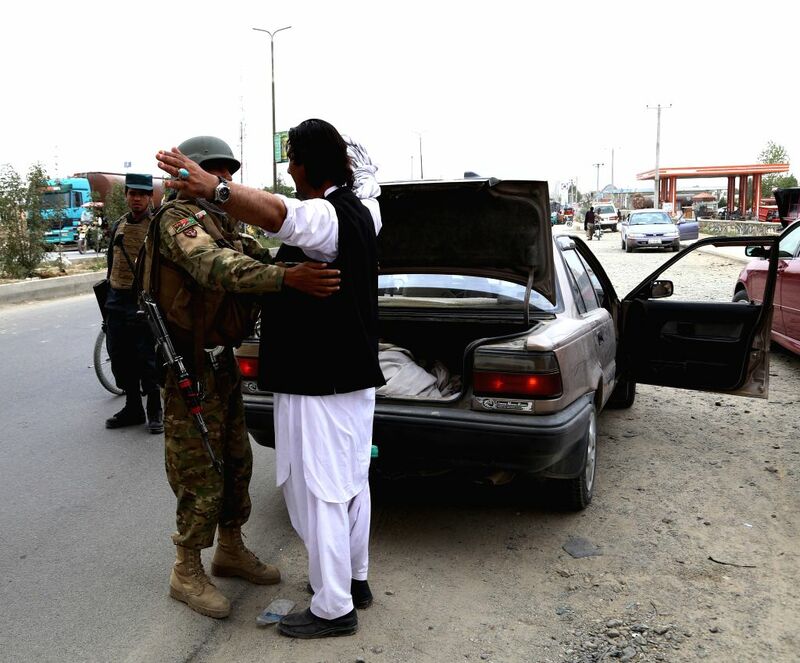 GHAZNI, July 21, 2018 - An Afghan security force member checks a man at a security checkpoint in Ghazni province, Afghanistan, July 21, 2018. 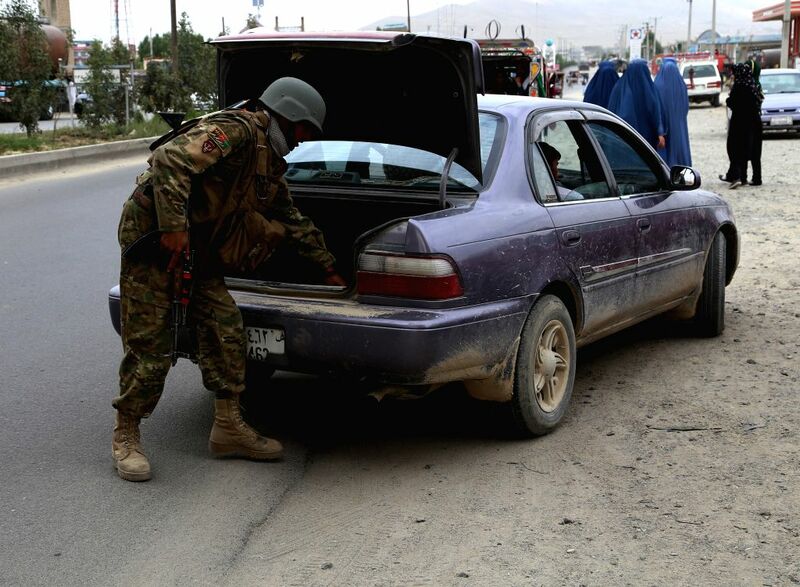 At least two security personnel including a district police chief were killed as Taliban fighters stormed security checkpoints in Rashidan district of Afghanistan's eastern Ghazni province on Saturday, provincial police chief Farid Ahmad Mashal said. An Afghan security force member checks a vehicle at a security checkpoint in Ghazni province, Afghanistan, July 21, 2018.